New Emitter and Receiver models added to the Q45 Wireless line-up make opposed mode detection simple and straightforward without the need to run cable. Banner is once again expanding the SureCross Wireless Q45 product family with the addition of opposed mode (Emitter/Receiver pair). These battery powered sensing devices are simple to install and can be separated by up to 30 meters (100 ft) depending on the excess gain requirements. Two AA lithium batteries in each will last up to 2 years. Installation is effortless with the receiver node's amber alignment LED which indicates when the infrared light beam between it and the emitter is made. 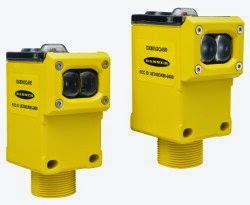 With no software needed this sensor pair is simple to commission and maintain, yet highly expandable.